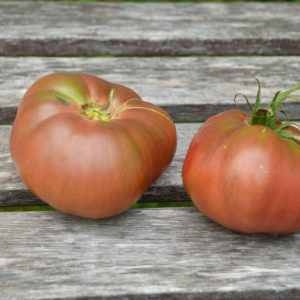 This is one of my favourite varieties of all time, and I grow it as often as I can. 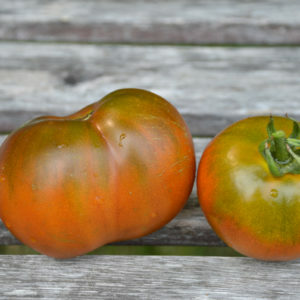 I originally obtained the seed from Dan & Val McMurray of Wynndel, BC, and they originally obtained the seed through a trade with a Russian lady who was living in Michigan, USA in 2006. 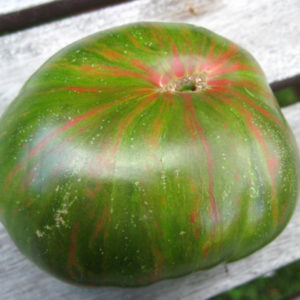 The seed was originally an open pollinated commercial variety from Russia. 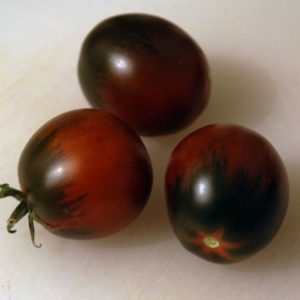 These tomatoes have a really unique, well-rounded flavour. 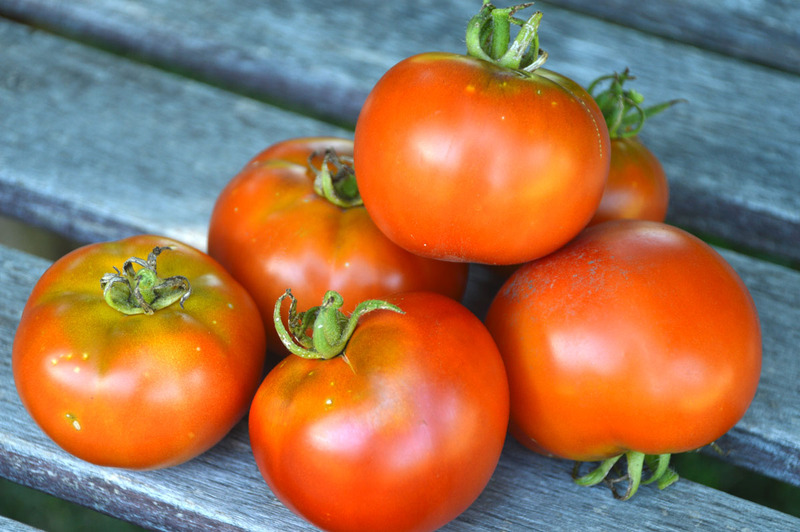 They have a slight naturally salty taste, combined with a rich tomato flavour, making these fruit the best I’ve ever tasted for tomato juice. They’re excellent for fresh eating, and make awesome soups, stews, and chilis. Fruit is quite uniform in size, weighing in at approximately 85 grams on average. Indeterminate, regular leaf. 75 days from transplant.